For leather slings and other accessories. 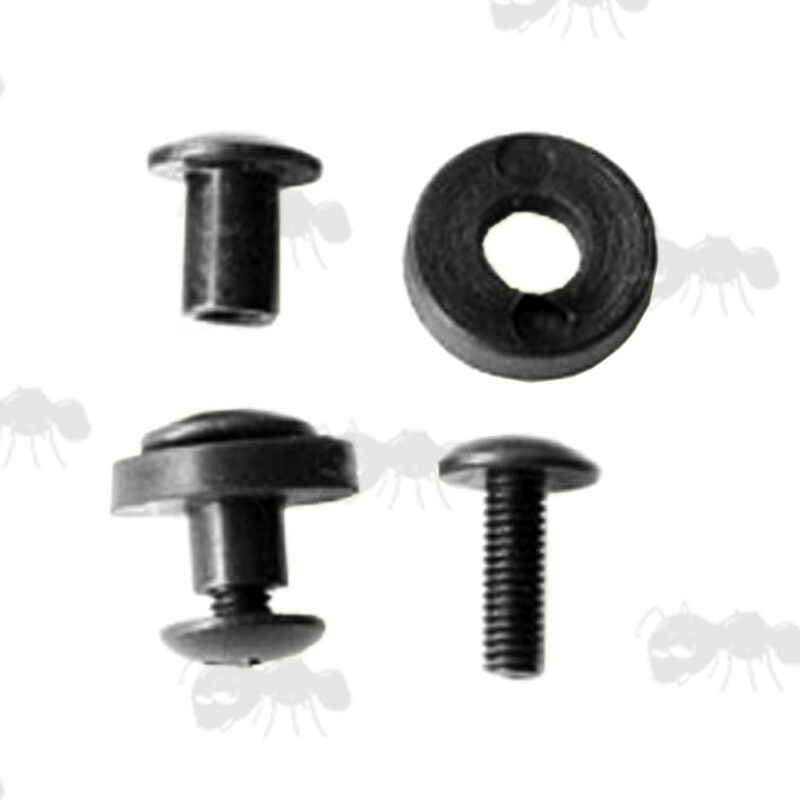 Screw end length ~ 4.5mm. Both domed ends, with washer. 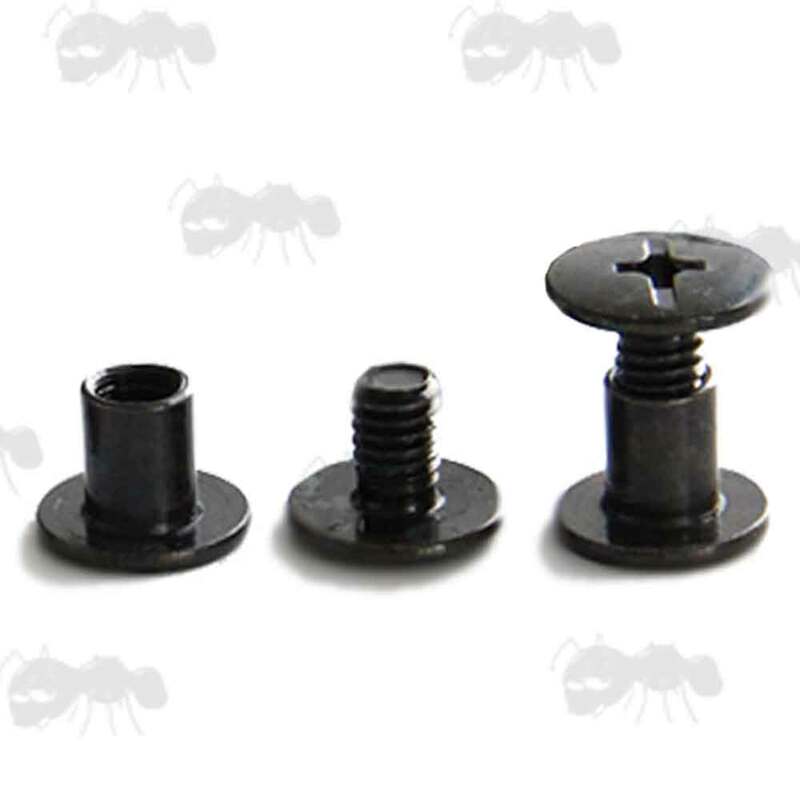 Screw end length ~ 10mm. 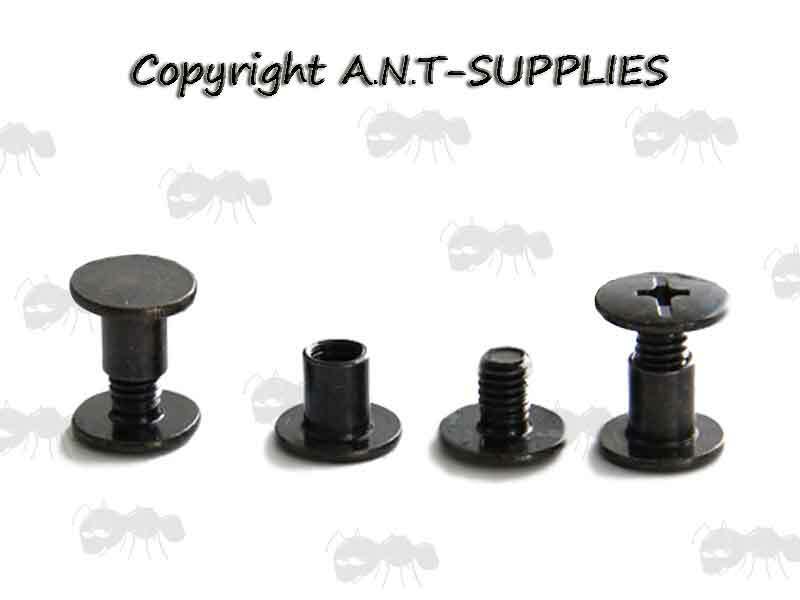 Screw end length ~ 5mm. Solid metal with black finish. Chicargo studs with slot heads. 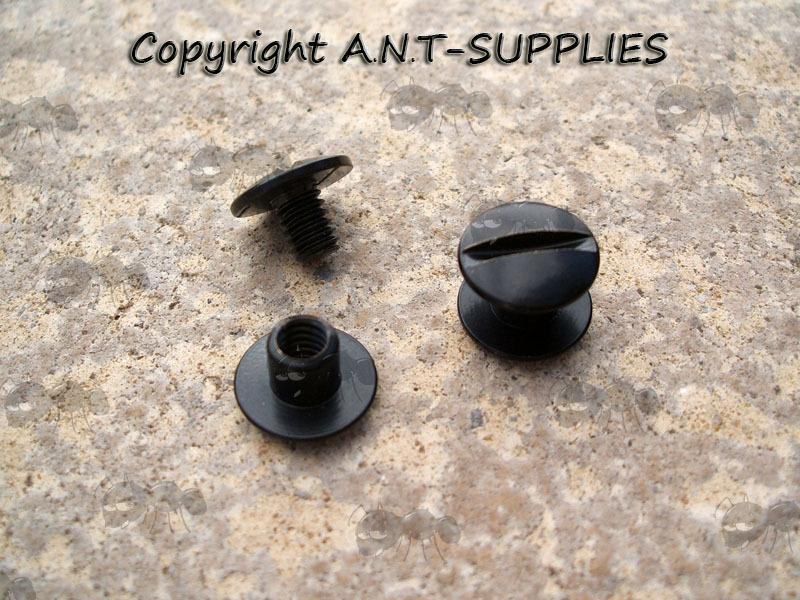 Replacement fasteners for leather slings and carry straps, to be used wherever two pieces of leather needs to be joined. 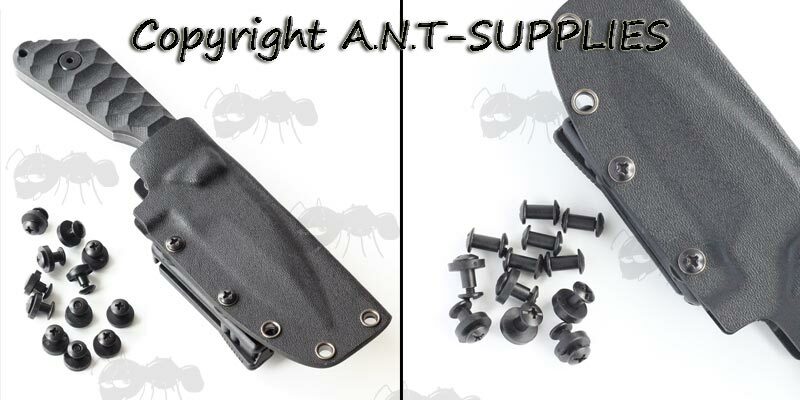 The cross head slot studs are also used for Kydex knife sheath construction and Tek-Lok holsters. 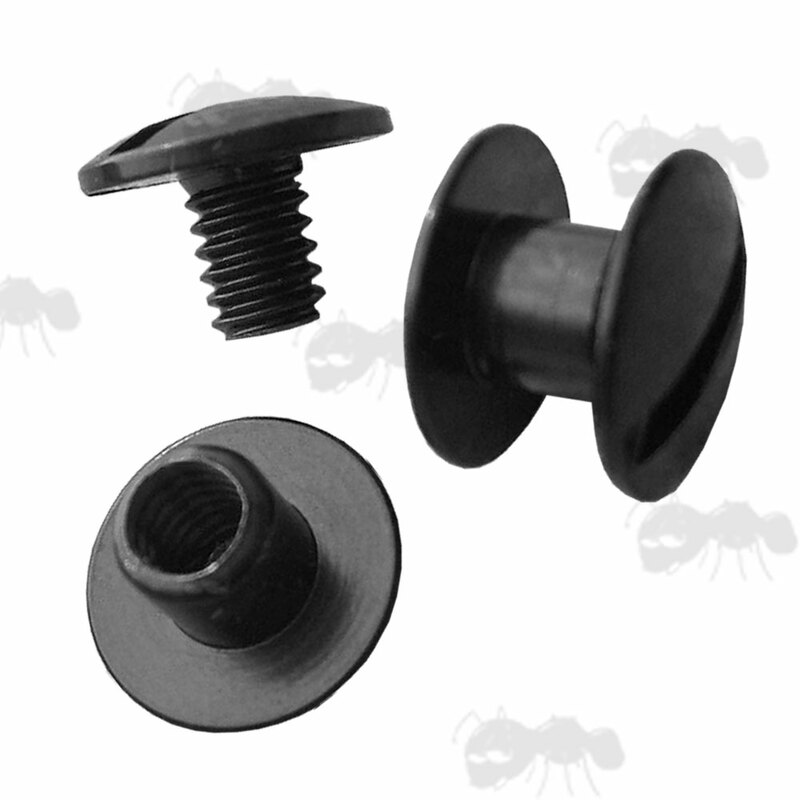 Threaded post lets you open and reattach pieces when needed. Also available ~ Bisley brass chicago studs.